Mystery and magic figure, the figure 8 is above all a lucky charm in the life and in the business. In China, many differents characters pronounce in the same way in some tones near. The figure 8 pronounces "ba" in mandarin that we can move closer to the sound "fa" in Cantonese which means " growing rich " or "prosperity". The figure eight is also a symbol of final balance, in Asia, it represents, 8 beams of the law Boudhiqu, 8 rules of the "Chou-King" way, 8 Ministers of the Chinese Empire, 8 petals of the lotus, 8 pillars of the sky, 8 cardinal points, etc. 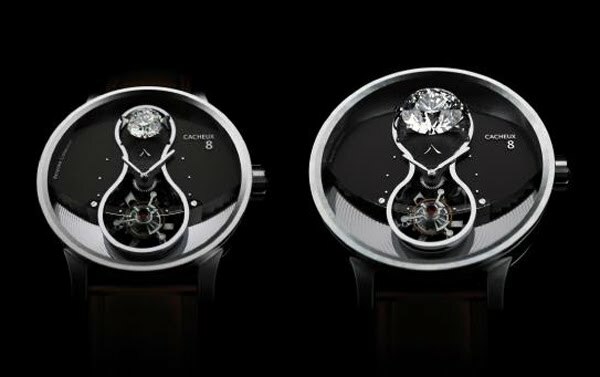 The heart of Cacheux 8 is a real small marvel of high watch-making by the fact that this tourbillon possesses a power reserve more than 120 hours, exceptional duration in itself for a tourbillon which, here, is delivered by one and a single barrel, a unique technical exploit. The collection Cacheux 8 is an integral part collections of the French brand, every collection has for intention an originality and its own elegance. 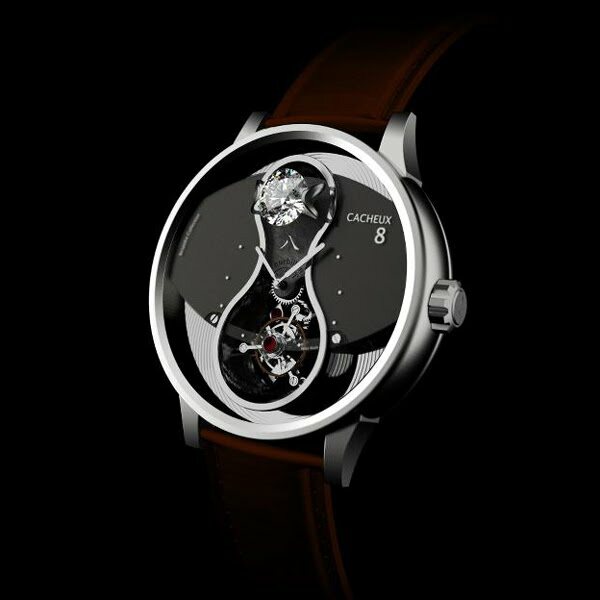 It also means that theses 8 tiemepieces benefit from all the intention in the manufacturing and in the finishing which requires timepieces of Cacheux Haute Horlogerie. 8 months is necessary to realize and be able to wear on the wrist one of theses 8 magnificents watches.